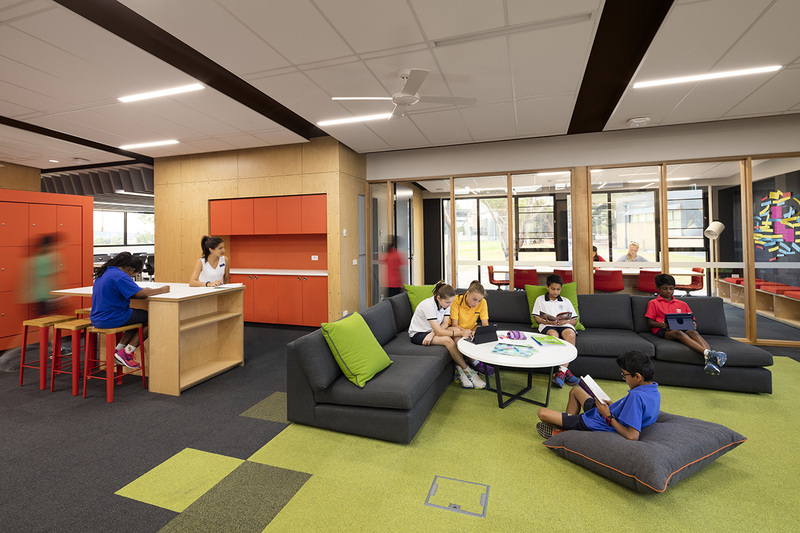 Hayball’s innovative prototyping project for Caulfield Grammar School, The Learning Project, has been selected as one of three finalists in the internationally renowned James D. MacConnell Award. Regarded by the Association for Learning Environments (A4LE) as its most prestigious education design award, it’s a tremendous honour to reach this stage! Preparation by the design team and the school is now underway for a major presentation to the MacConnell jury in September. The MacConnell Award honours projects that “stimulate systemic change in the educational system by addressing difficult questions, challenging the status quo, and raising expectations”. A “MacConnell project” exemplifies A4LE’s belief that great schools begin with communication and planning. In 2016 the Learning Project was simultaneously awarded Overall Winner at the Learning Environments Australasia Region Awards, where it also won the Education Innovation category. The project is one of exploration and discovery, and a vehicle for change. A series of prefabricated prototype buildings across three campuses is testing and evaluating ideas in the evolution of the Caulfield Grammar’s contemporary teaching and learning practices. Critical investigation of the successes and failures of all aspects of the project affords both the school and design team a deep understanding of the links between pedagogy and space. Two years into use, the Learning Project is influencing both the way new building projects and teaching practice are approached at the school. The 2017 MacConnell Award will be announced at the A4LE international LearningScapes conference in Atlanta, USA, on October 26.